Home 1500 to 2000 Sq Feet 2 story house 4BHK Indian Home Design South indian house plans Modern home design - 1809 Sq. Ft.
Modern home design - 1809 Sq. 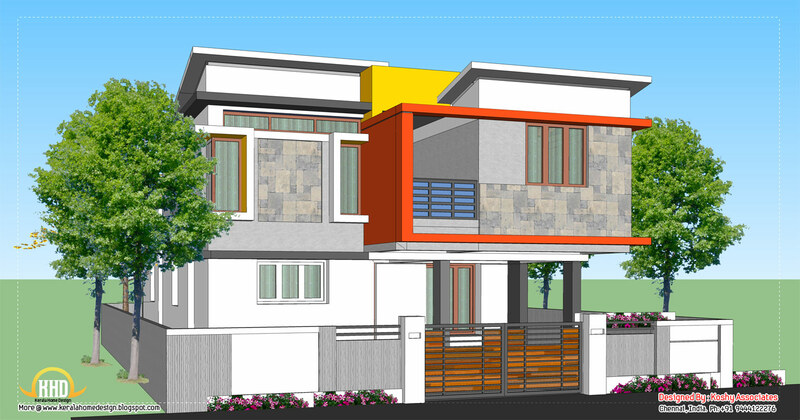 Ft.
1809 Square Feet (168 Square Meter) Modern house design by Koshy Jessy, Chennai, Tamilnadu. Ground Floor : 1119 Sq. Ft.
Firest Floor : 683 Sq. Ft.